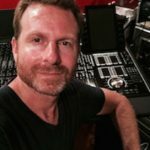 This webinar offers basic audio theory and audio mixing techniques, tips, and tricks aimed at the average video editor. Delivered in plain, everyday language – there’s no audio geek talk here! EQ and Compression: Why and when do I need it? Mixing Defined: Use your ears!